I read this article and found it very interesting, thought it might be something for you. 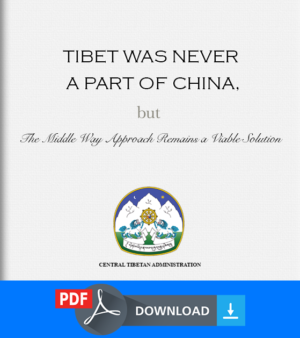 The article is called Tibetan National Flag Flutters in the Villes & Vales of Europe and is located at https://tibet.net/2019/03/tibetan-national-flag-flutters-in-the-villes-vales-of-europe/. 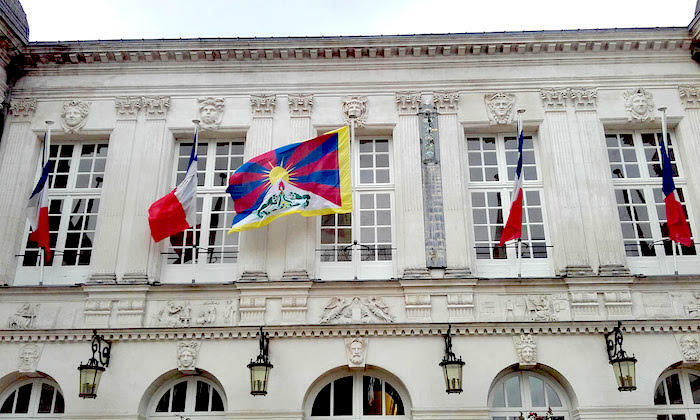 Tibetan flag raised at the town hall of Nantes, France. 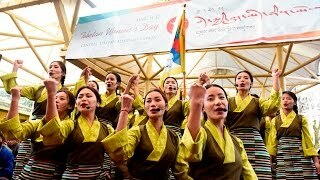 In the unique tradition of many European municipalities, March 10 is the day when they officially hoist the Tibetan flag. 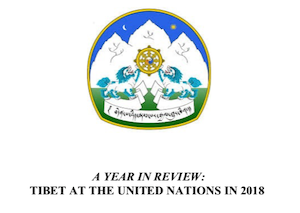 There were other municipalities who raised the Tibetan flag at the Town Hall throughout the year. 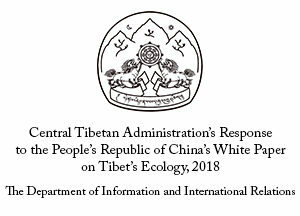 On the 60th Anniversary of Tibetan National Uprising Day, expressing their solidarity with Tibetans, many municipalities raised the Tibetan flag. 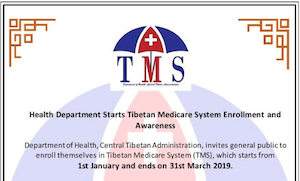 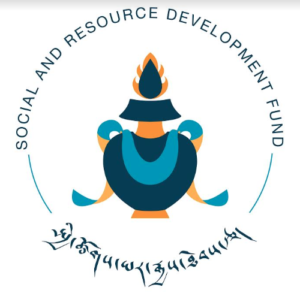 As of now, the Office of Tibet, Brussels received reports from Ottignies-Louvain-La-Neuve and Ciney from Belgium, Betzdorf in Luxembourg and Villeneuve Loubet, Sisteron, Paris 02, Paris 11, Ozoir-la-Ferrier, Grand-Bourgther, Saint-Genes-Champanelle, Nantes, Ceyrat, Saint Gratien and Nancy in France. 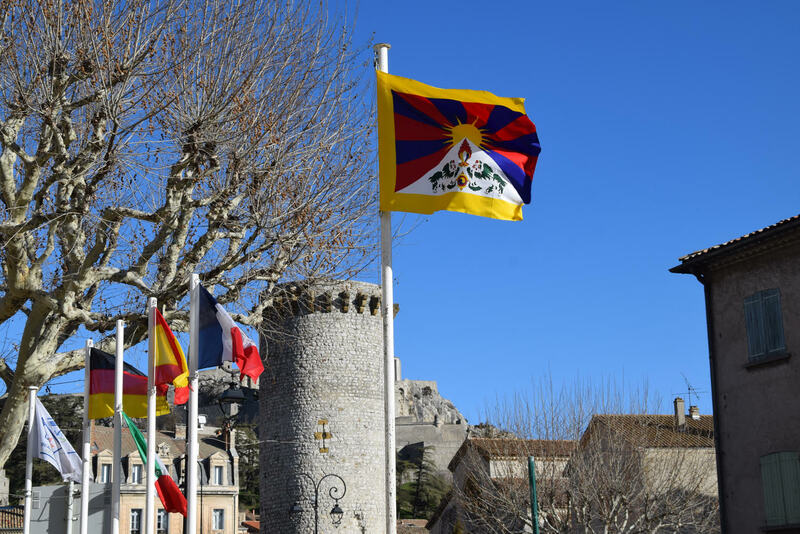 Tibetan flag raised at the town hall of Sisteron, France. 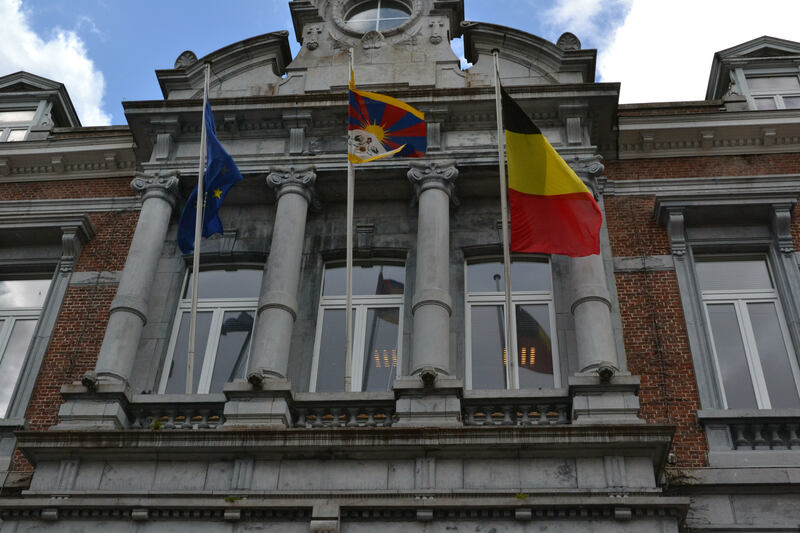 Tibetan flag raised at the town hall in Ciney, Belgium. 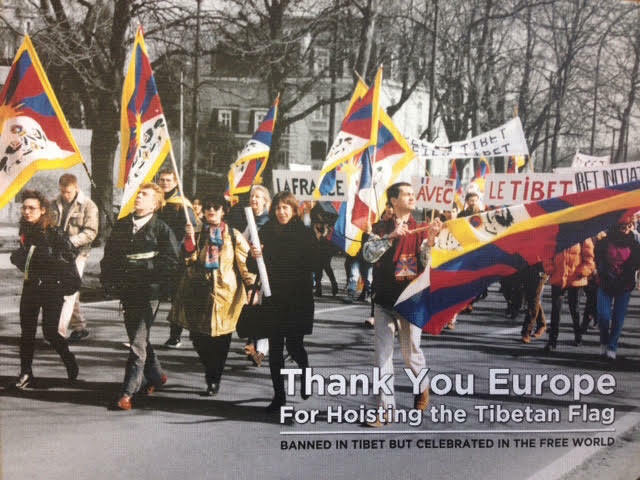 The pictorial book entitled “Thank You Europe – For Hoisting the Tibetan Flag”, published by The Office of Tibet, Brussels as part of Thank You Year celebrations in 2018. 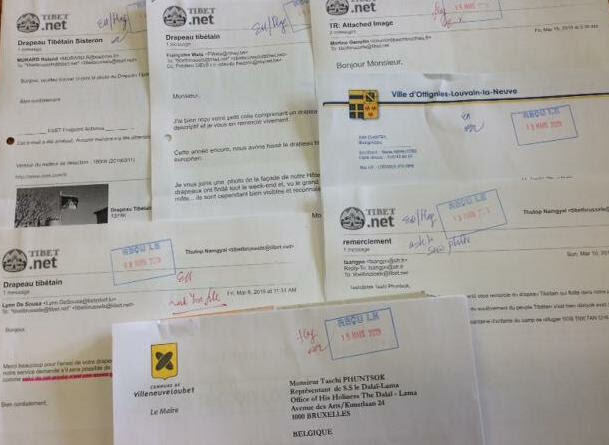 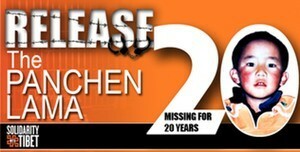 Letter of thanks received by the Office of Tibet, Brussels.